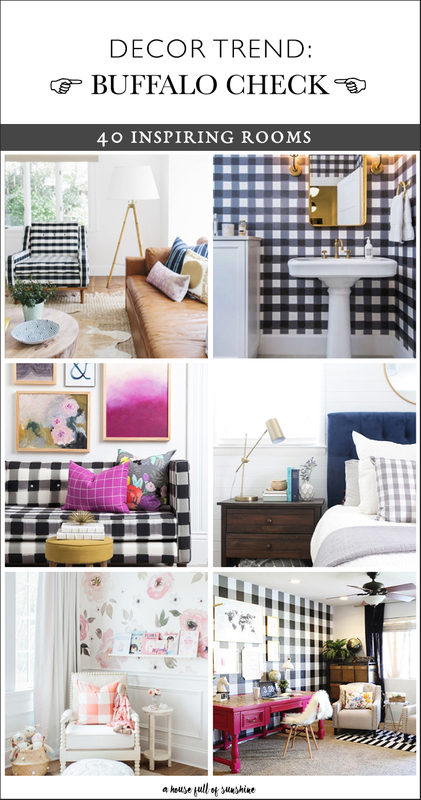 The buffalo check trend has been around for a while in the decorating world, and it’s not going anywhere anytime soon. 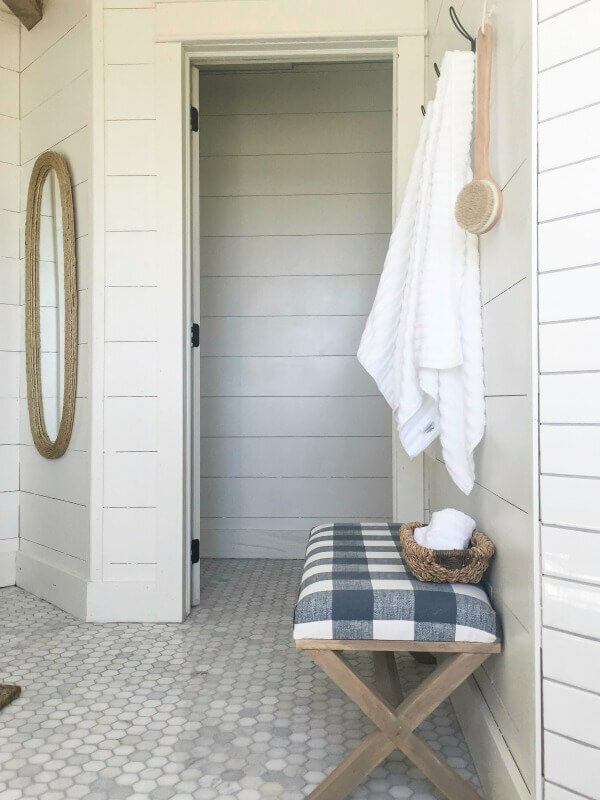 Also known as buffalo plaid, this classic pattern has always been a staple of farmhouse-style design. 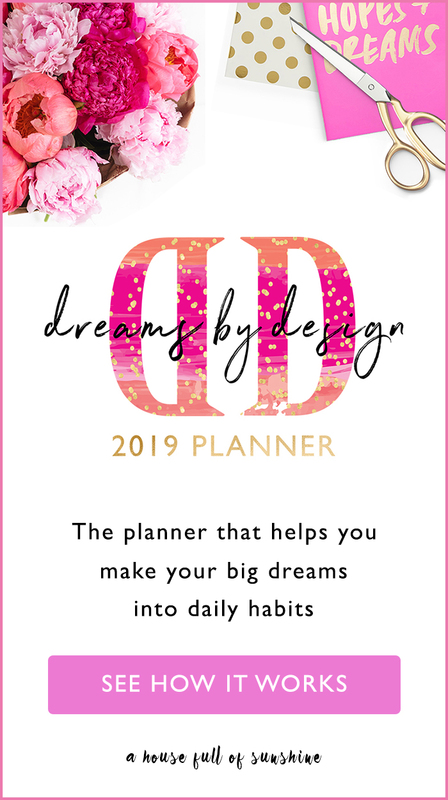 I’m not particularly into farmhouse style myself (just personal taste) – I prefer my decorating to have a bit more of a modern edge. That’s why I’ve been loving seeing the buffalo check trend popping up so much lately with more of a modern twist to it. 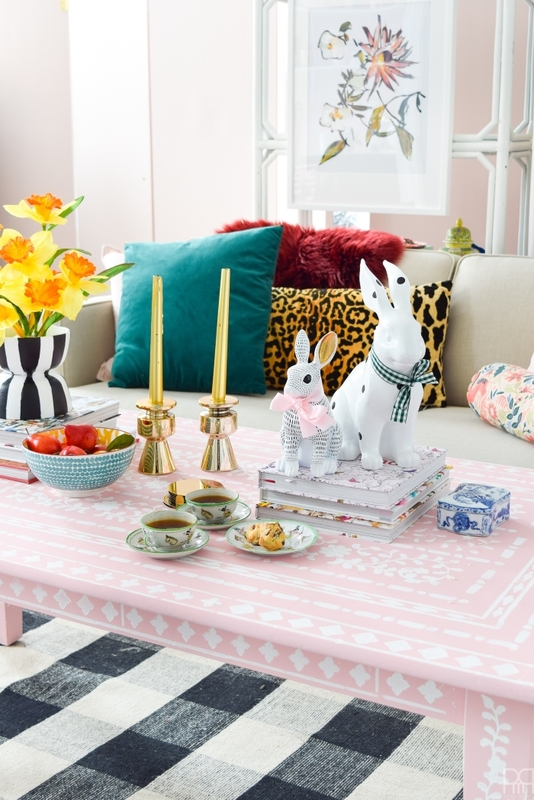 The truth is that a classic, bold pattern can be at home with just about any style. 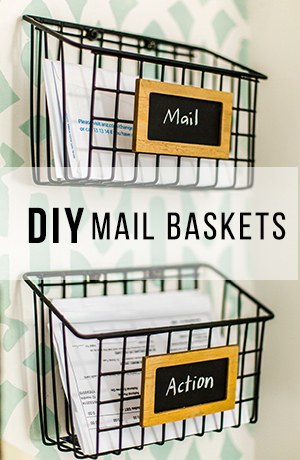 Modern, glam, farmhouse, industrial, eclectic, Scandi, even Boho… and any combination of those. 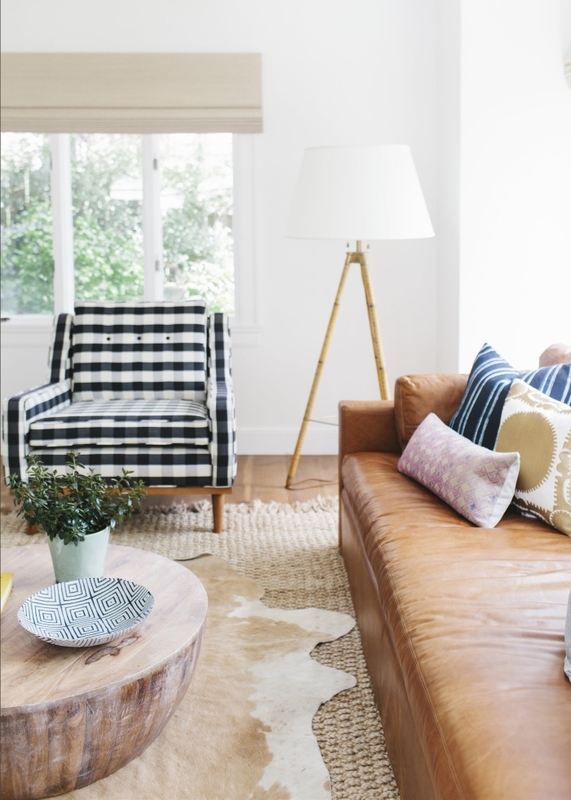 Buffalo check is often found in the little accents, so it’s not too overwhelming for a space – a cushion on the sofa, a runner on the table, a throw over the end of a bed. 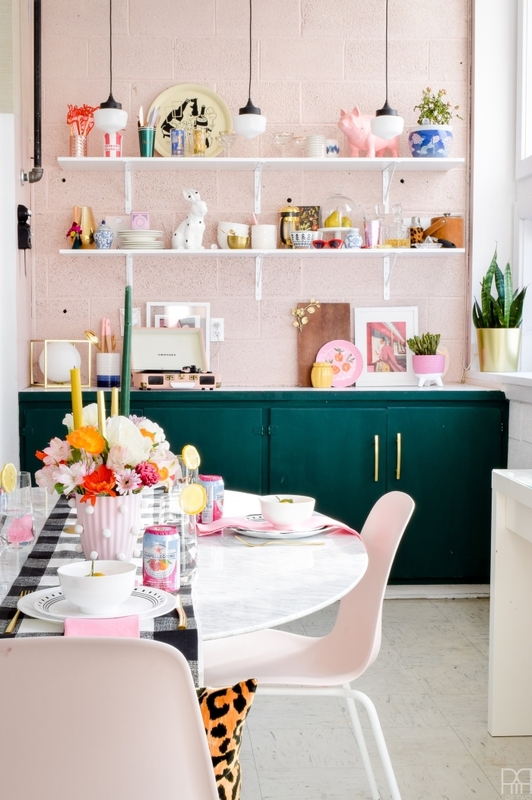 For those who aren’t pattern-shy, you’ll also see the trend extending to walls. 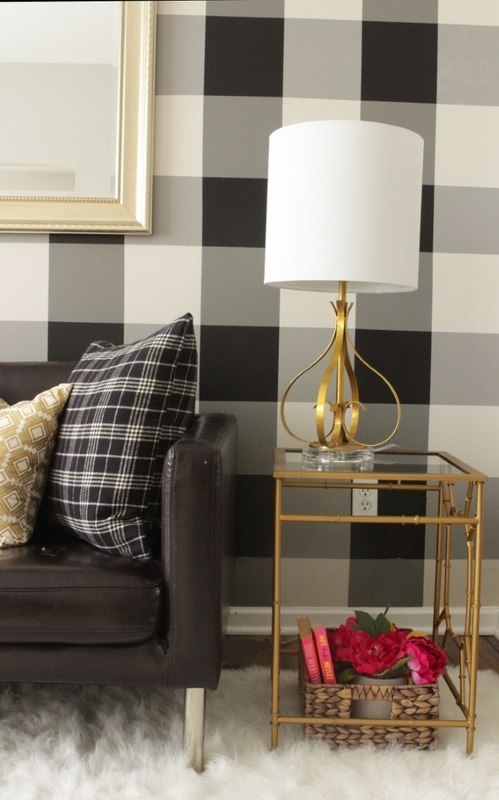 Buffalo check wallpaper is a hot feature right now, and you can even DIY the same effect by painting overlapping stripes with painter’s tape. It’s also popping up in tile patterns and furniture upholstery. The more you look around, the more of it you’ll see. 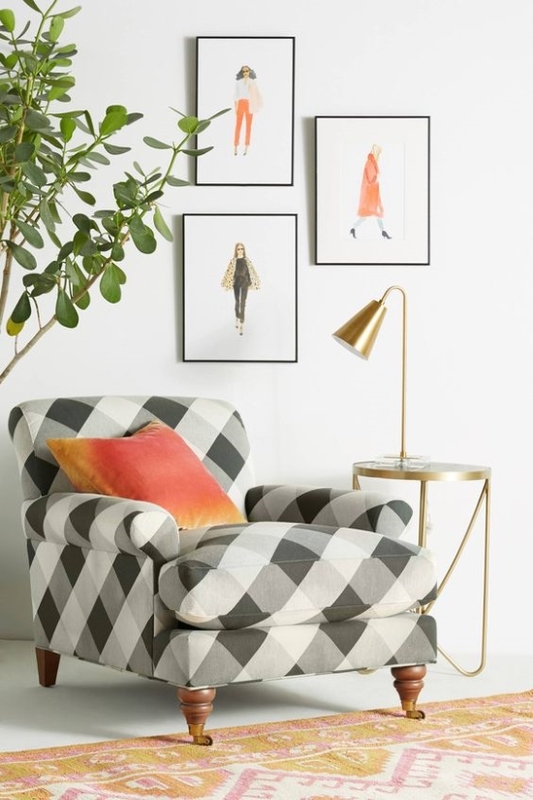 Buffalo check has really risen above its cosy-farmhouse roots and reinvented itself as a modern classic – a simple but graphic statement pattern that can add a hint of drama to any room. It punches above its weight because it goes with so many different styles that it’s become a style statement in its own right. 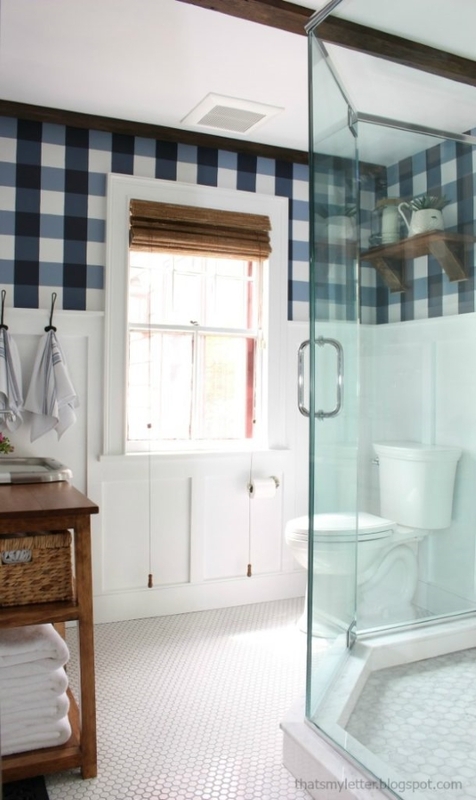 Here are 40 gorgeous rooms to show you how effective buffalo check can be. By the end, maybe you will have caught the bug too. 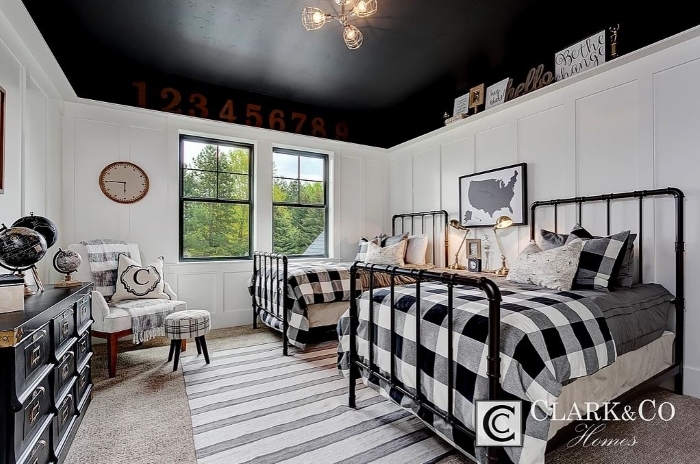 Buffalo checks and kids’ rooms go together like peanut butter and jelly. 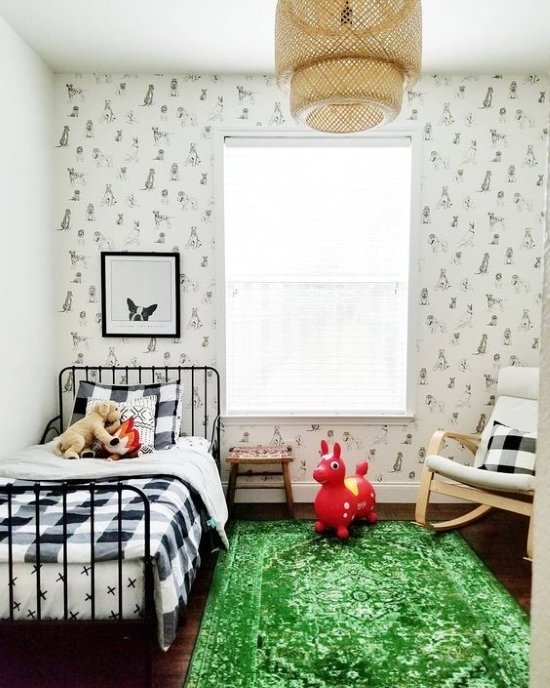 Scandi-style kids rooms featuring black and white graphic patterns are a hot trend, and our friend the buffalo check is right at home with that. 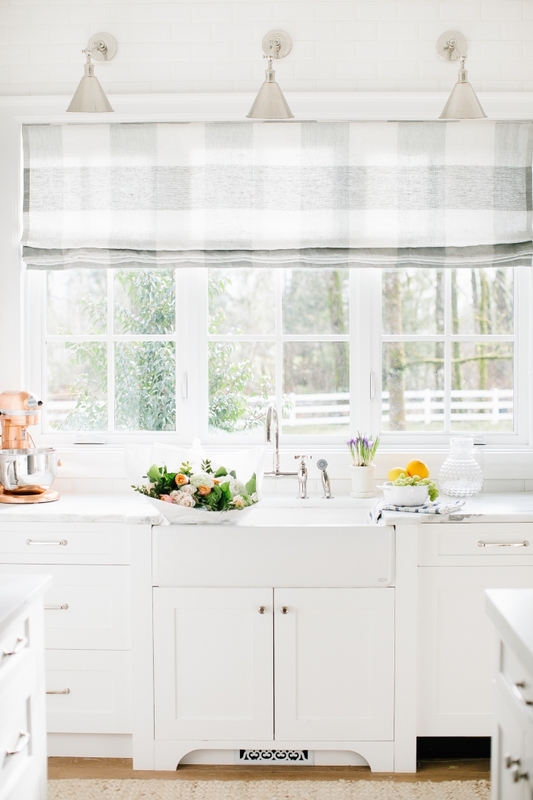 Can anyone say Boho-farmhouse? 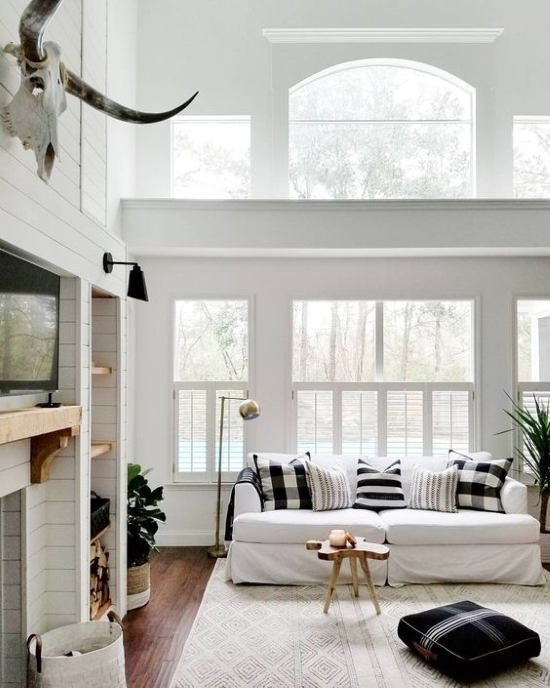 I’m loving the way modern Boho elements like the Moroccan rug, rope baskets, plants and mounted skull collide with classic farmhouse elements like the panelling and slipcovered couch. 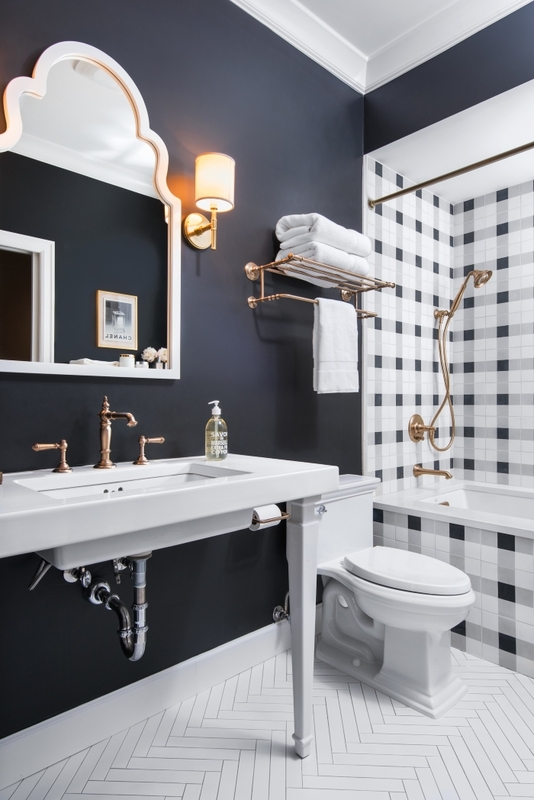 A simple black and white palette pulls it all together, and the whole thing WORKS. 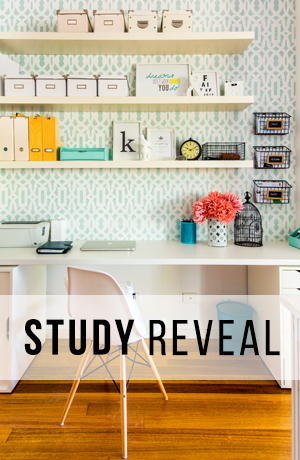 A little bit of leftover wallpaper gets the niche treatment. 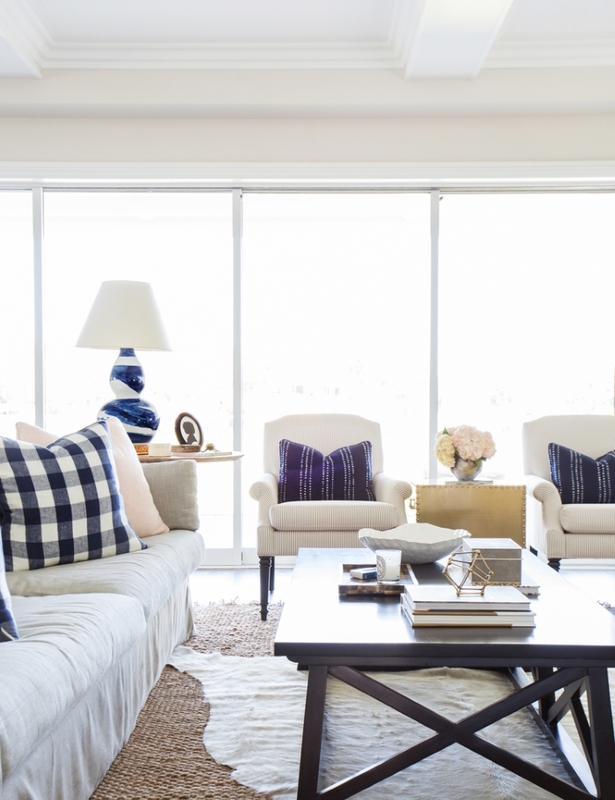 Just the right amount of pattern to create a focal point without overwhelming the room. 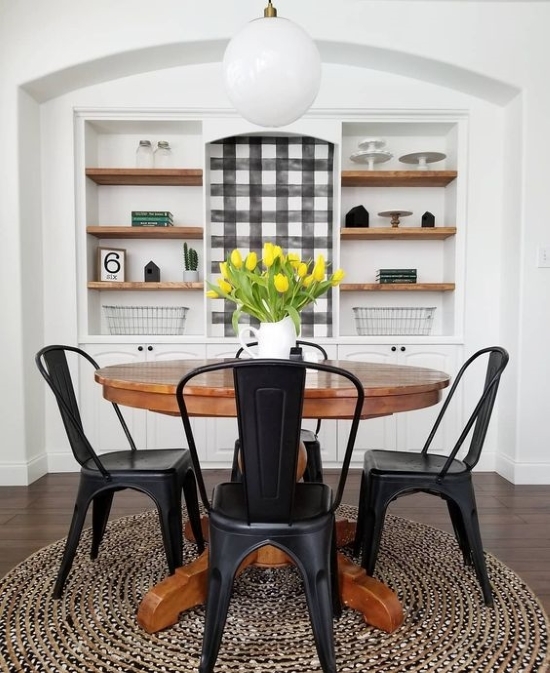 Black penny round tiles, subway, panelling and buffalo check. Oh, my. 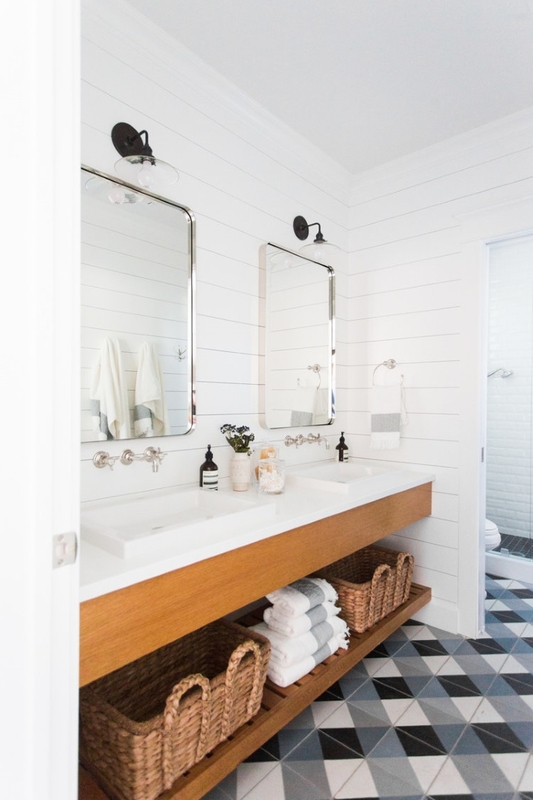 Bathroom swoon! Let’s change it up and throw in some colour! 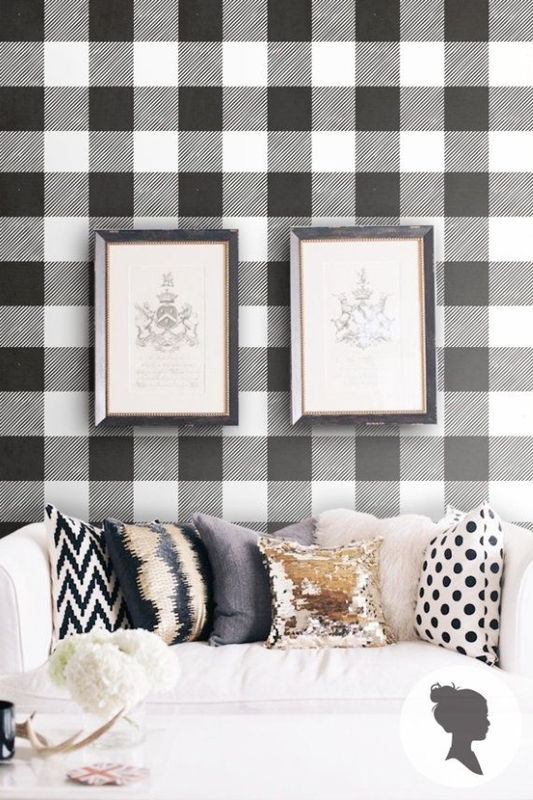 Buffalo check is equally at home with glam style. 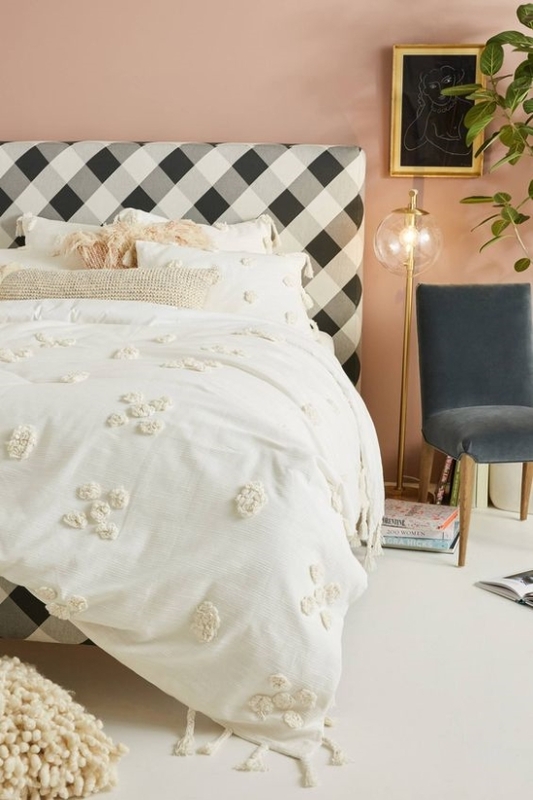 I like the idea of upholstering a bedhead in buffalo check for a bedroom statement piece. Laying the pattern on the diagonal gives it a whole new feel. 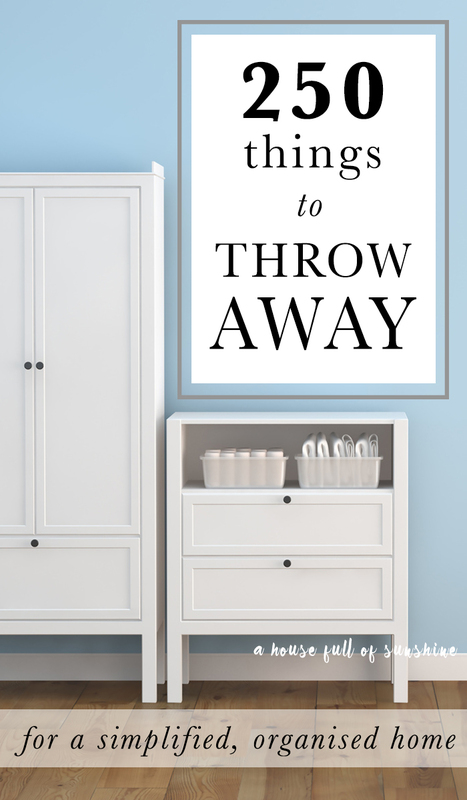 This is a DIY paint treatment – go check it out! So smart. I’ve painted stripes before, and this simply involves painting a light stripe horizontally and then a deeper stripe vertically. It looks soooo effective. 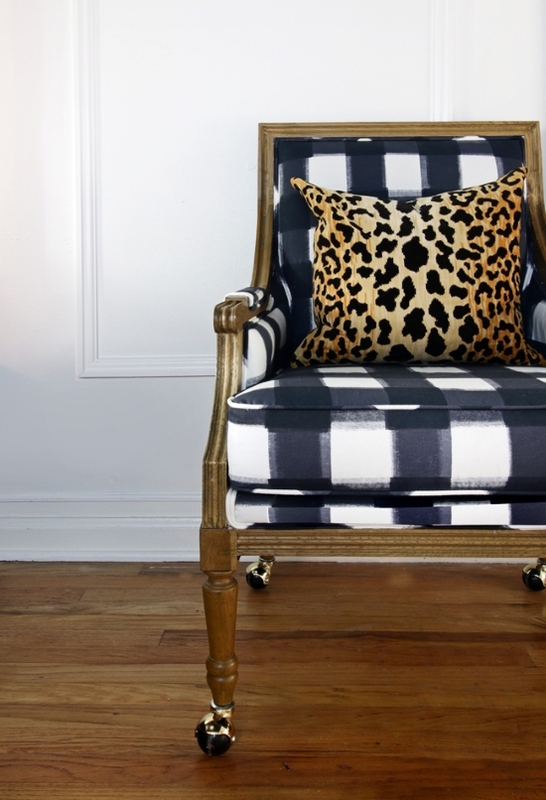 How gorgeous is Buffalo check on a statement armchair? More preppy glam here. Buffalo check + leopard print – who woulda thought it would look so good. Flooring crush! What a fun surprise peeking at us through that doorway. So clever. 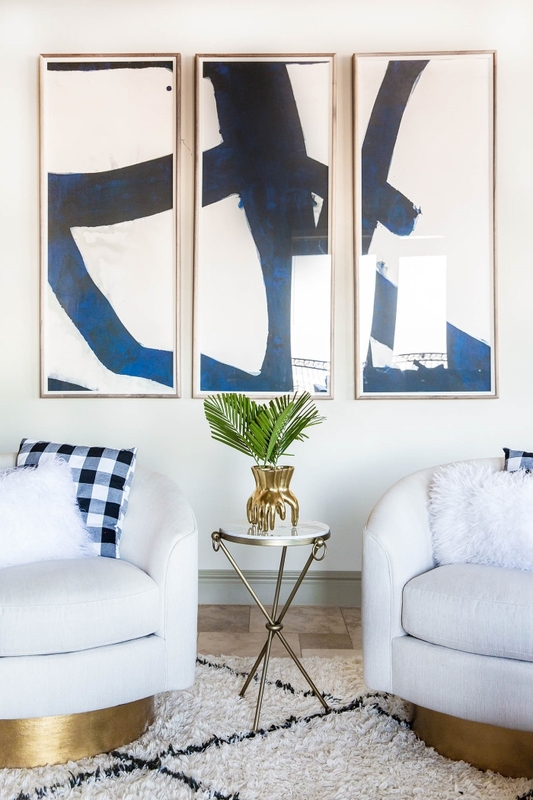 This studio space was fitted out using carpet squares in three tones – navy, blue and white – laid in a Buffalo check pattern. 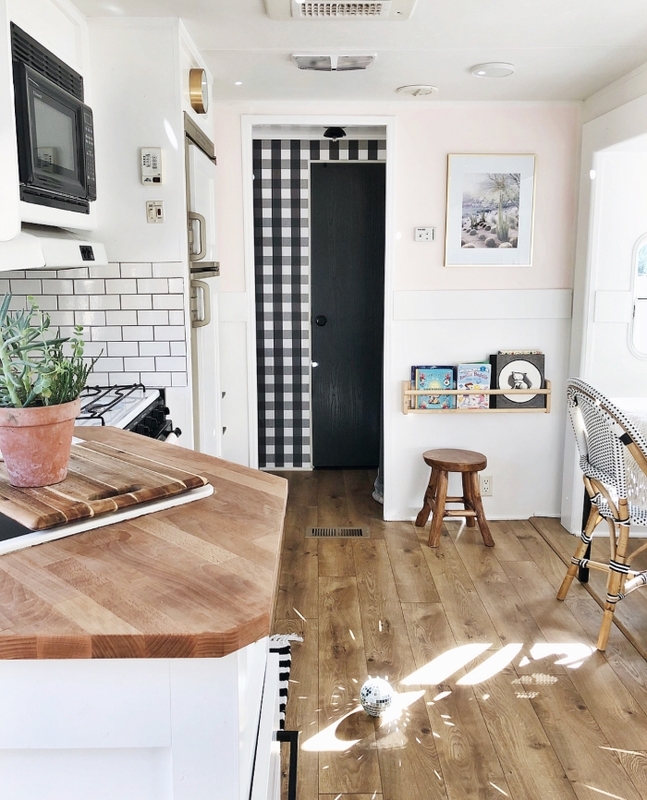 That floor absolutely makes the whole space. So original! A peep of pattern showing through a doorway. Would you believe this photo was taken inside an RV? (Caravan for my Aussie readers!) So good, right?! 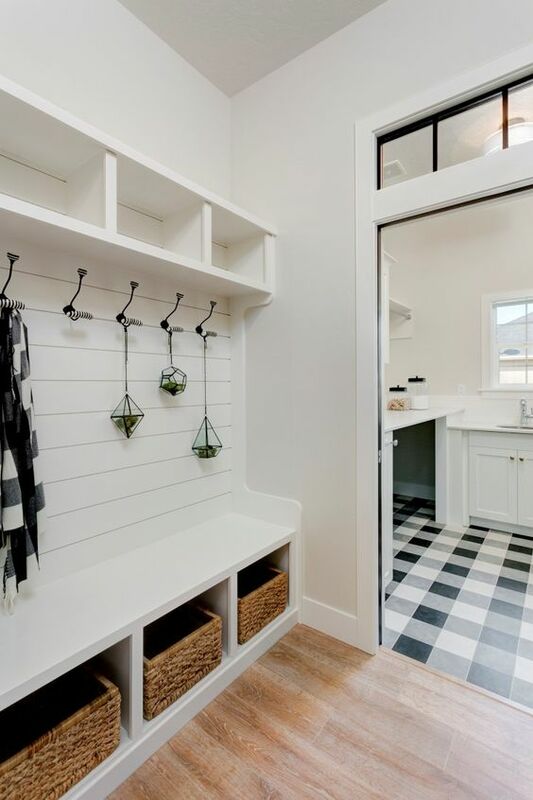 It’s a pretty cool reno and just goes to prove that big style can come in small packages. 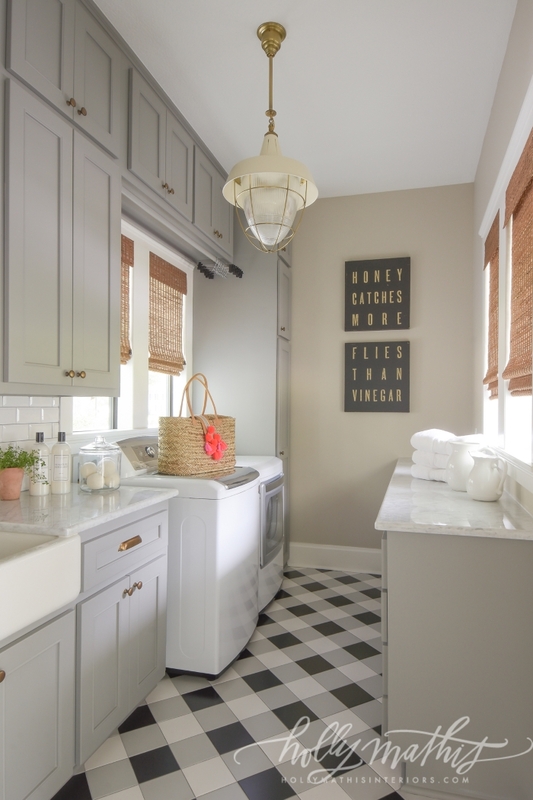 A tea towel adds a fun little pop of pattern. 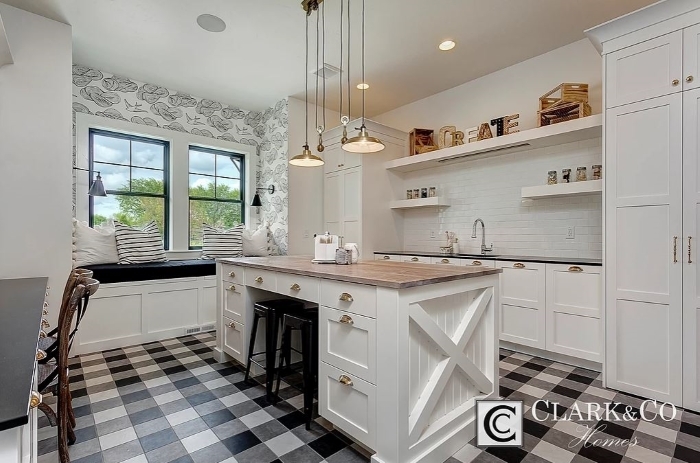 It only cost a couple of dollars to embrace the Buffalo check trend in this kitchen! Pink, navy, black. That’s the recurring theme here. All the buffalo check in my world seems to fall into one of those three categories. 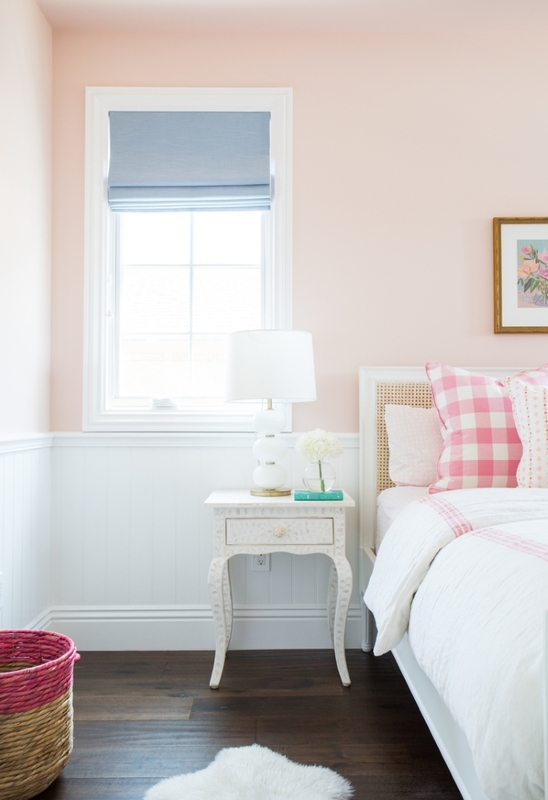 I love how pink check is sooo sweet (especially for a little girl’s room! ), and black check is so punchy. Totally different feel. Same classic pattern. Told you Buffalo check can work with contemporary style. It’s everywhere, I tell you. It’s taking over the world, one throw cushion at a time. Ooh, shaking it up on the diagonal. How pretty is this tile? 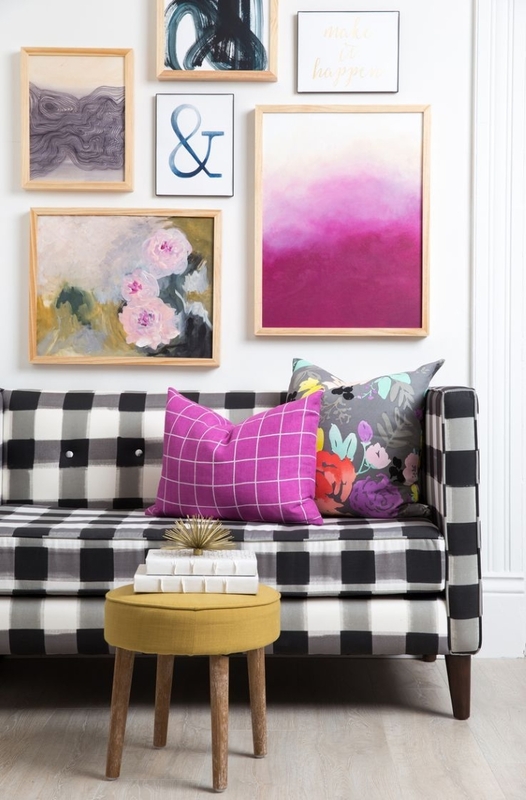 Mid-century modern style, meet Buffalo check. 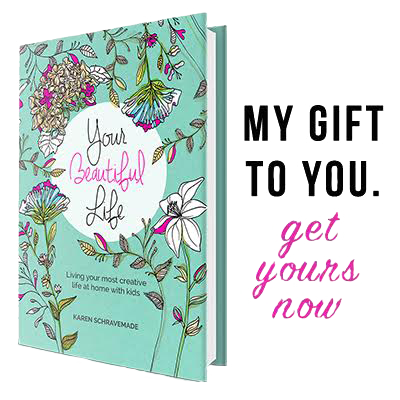 You’re going to be fabulous friends. My, what a handsome armchair you are. 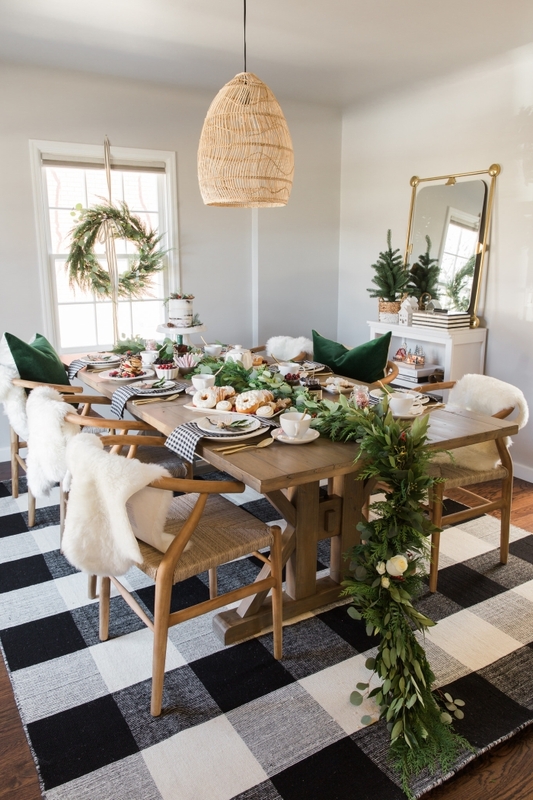 Perfect for seasonal decorating, too… Buffalo check is right at home with Christmas décor. Kapow! Betcha didn’t see that one coming. 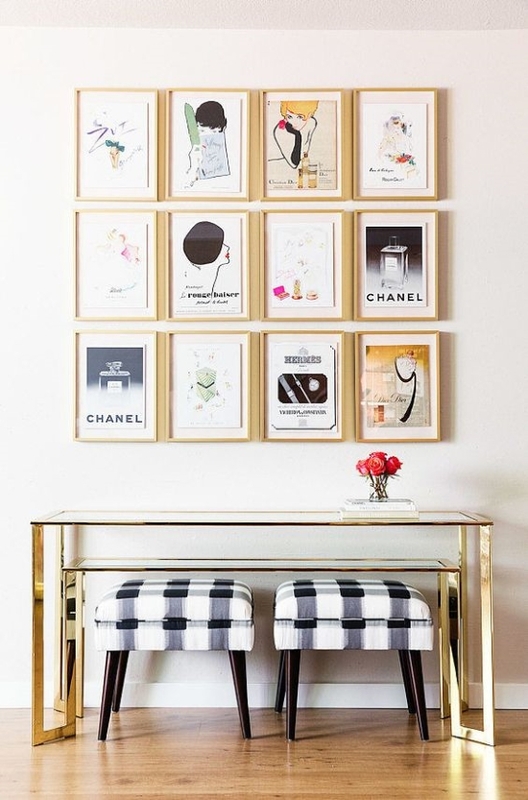 Pop-art style embraces its flamboyant checkered spirit. Toning things down with a soft tone-on-tone buffalo check in pale grey. 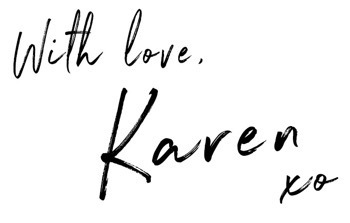 So sweet, classic and stylish. 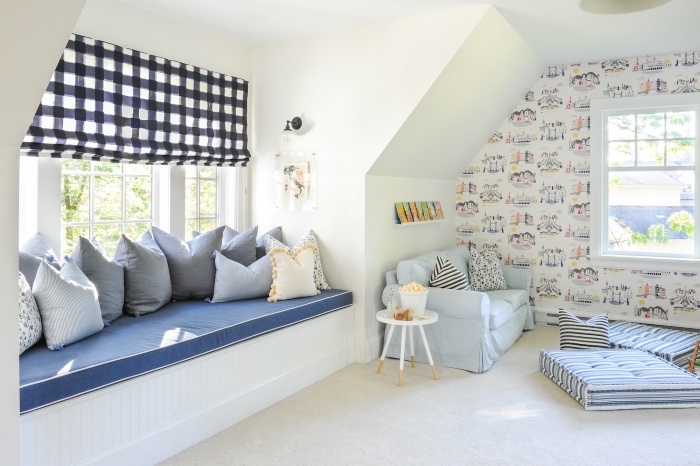 This is a fun way to bring a punch of pattern into a playroom. 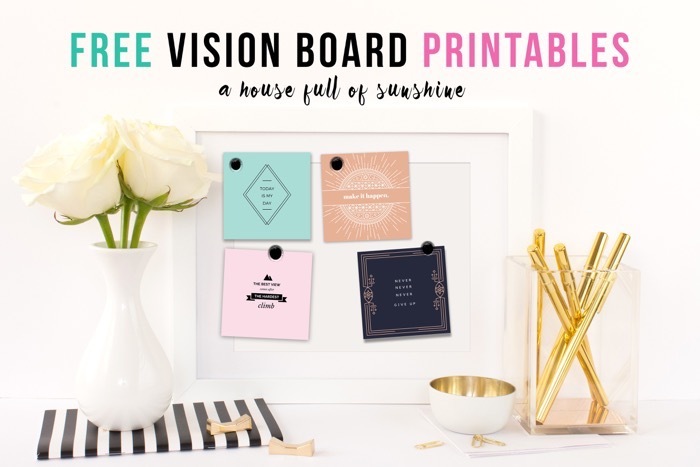 Don’t forget your window dressings! I’m in love with this Roman blind. 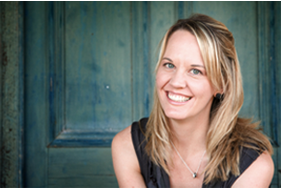 One last beauty from Monika Hibbs. Floral + check? Check. 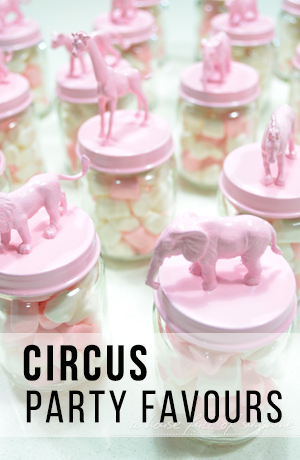 It’s sweetness plus in this nursery! 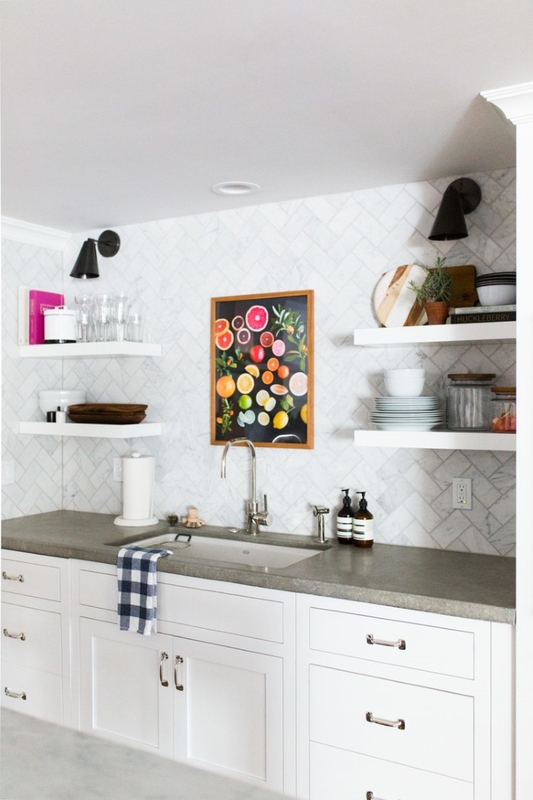 This tile is simply jaw-dropping. Doesn’t it just make the whole room? 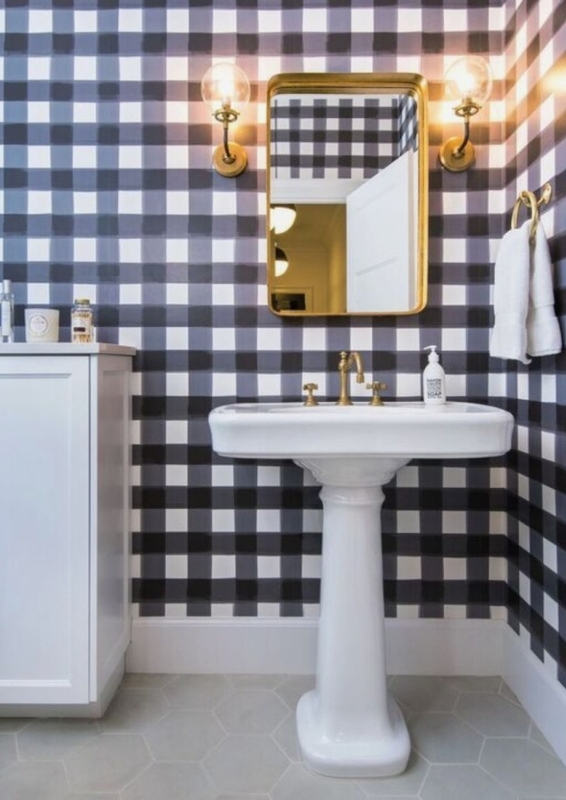 You may not be able to find pre-printed buffalo-check tile (like some of the examples we’ve shown) but you can easily create your own buffalo check pattern using individual tiles in three contrasting tones. 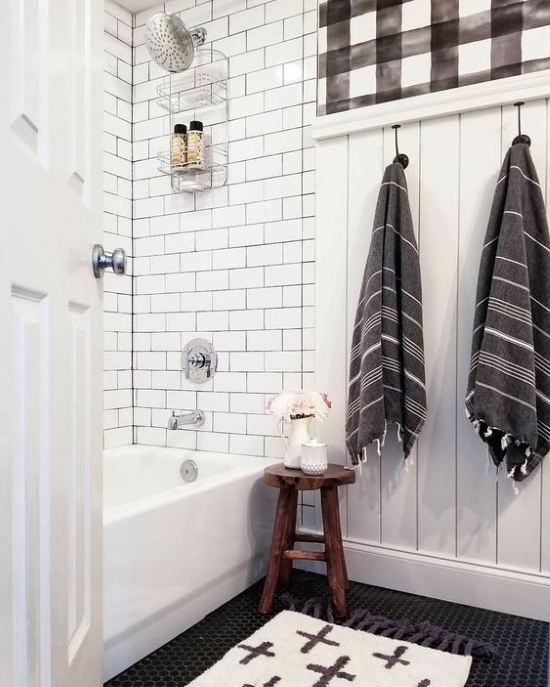 All you need is a dark, a mid-tone and a white tile to recreate this classic pattern on your floors. 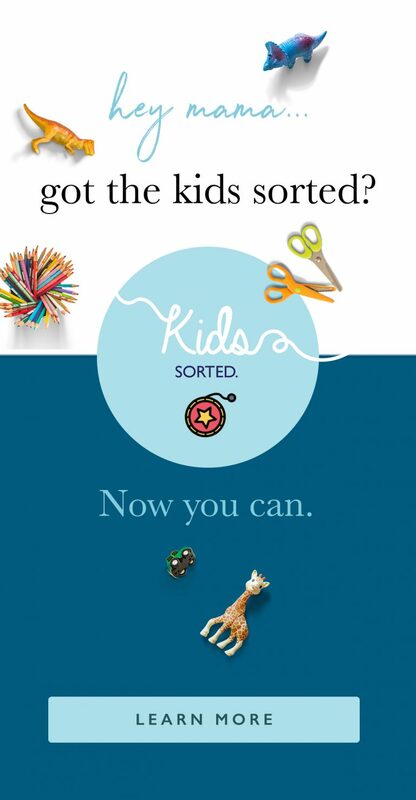 I have doona covers like these pinned to a board of ideas for my sons’ room. The black steel-framed beds combined with the check design is so stunning. 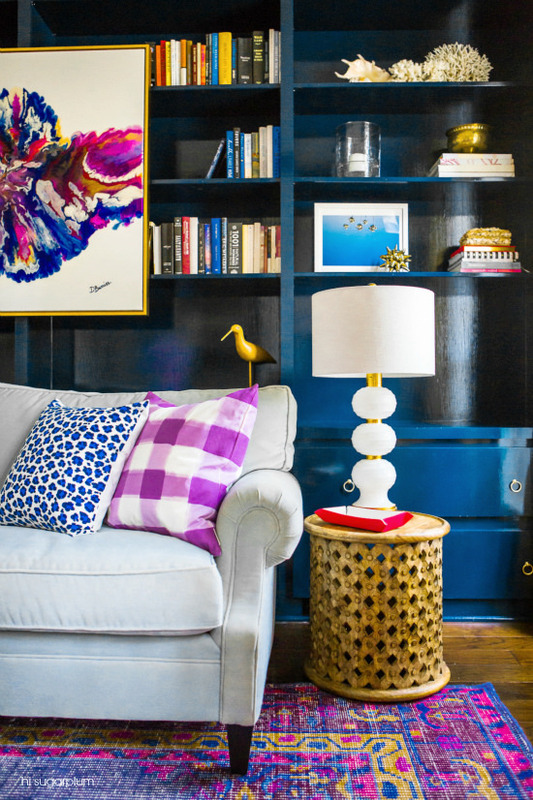 Another gorgeous DIY Buffalo check paint treatment is the attention grabber in this living room corner. Hot pink + black, checks + florals. Deliciously dramatic. All the heart eyes! 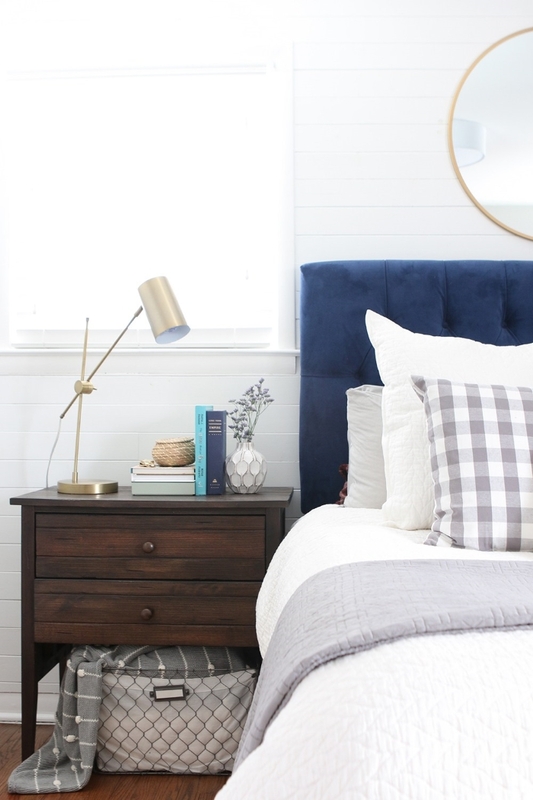 And last but not least, buffalo check brings a touch of understated masculine style to the bedroom…. We’re well into autumn in Australia and I’m already enjoying the hint of coolness that is finally creeping into the air. Spring and autumn are the perfect seasons where we live – mild and sunny with the most delightful weather that invites outdoor living. The truth is, I am NOT a seasonal decorator. Honestly? I couldn’t be bothered changing things around every quarter, when one season is virtually the same as the next around here. But lots of people do like to layer up with some cosy décor when the days grow chilly. 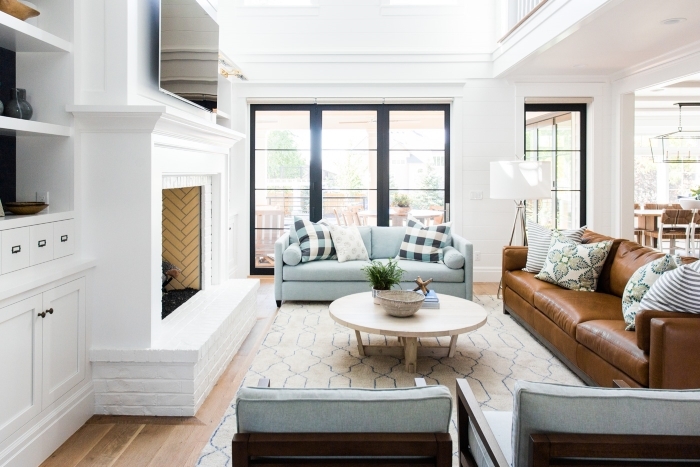 All it takes is a few throw rugs tossed onto the couch, maybe a couple of plaid cushions, and the cosiness factor instantly starts rising. The beauty of buffalo check in my book is that it has the staying power to be a year-round decorating decision, regardless of the season. I think the rooms I’ve shared with you are great examples of that. 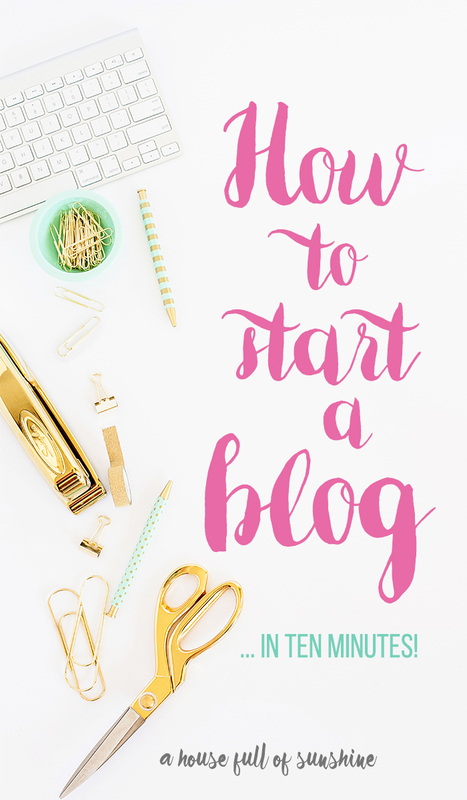 So, what do you think about the trend? It’s not for everyone… do you love it or hate it? 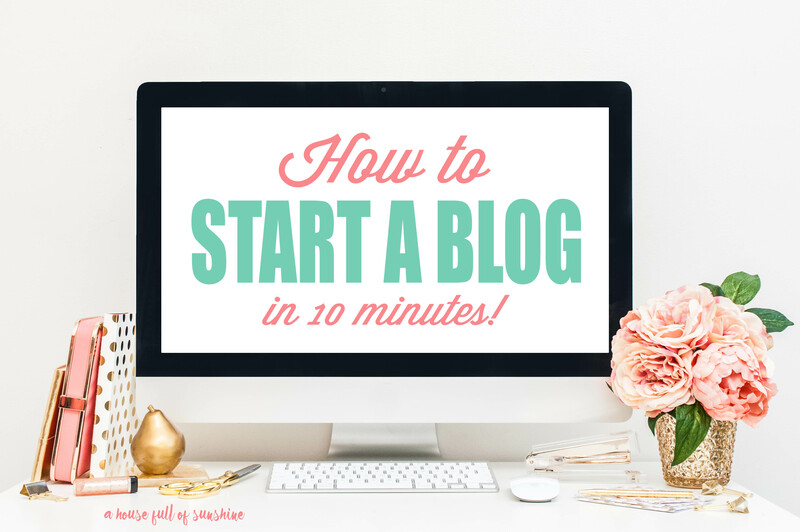 I am curious to hear your thoughts!